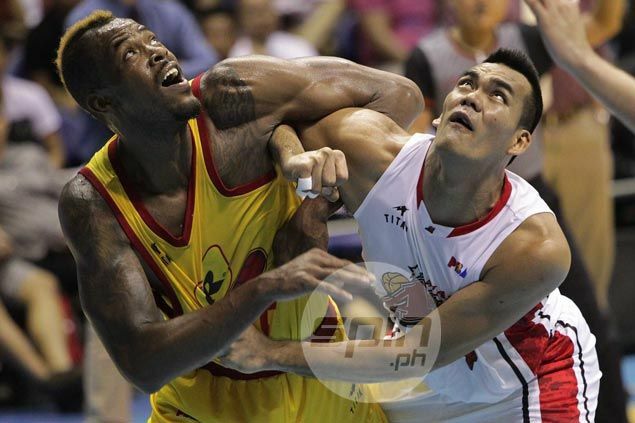 MARQUS Blakely is set for another tour of duty with the Star Hotshots. Star's resident import is set to arrive in the country on June 30 for his fifth straight tour of duty in the PBA - and sixth overall - as the Hotshots try to salvage a difficult first season under new coach Jason Webb. Blakely became an obvious choice as the Star’s import for the season-ending Governors’ Cup after Ricardo Ratliffe, who reinforced the team in the Commissioner's Cup, failed to make the height limit. Under the league's handicapping rules, the PBA allowed only the four eliminated teams in the last conference, namely GlobalPort, Phoenix, Blackwater and Mahindra, to parade an import with a height of up to 6-9. The rest of the teams are restricted by a 6-5 height limit for imports. After a frustrating debut in the 2012 Governors’ where the then BMEG Llamados lost to Jamelle Cornley-led Rain or Shine in the finals, the former Vermont Catamounts star led the franchise to a rare grand slam in 2014. His stint with the team included a fill-in status in the 2015 Commissioner’s Cup before Star hired the controversial Daniel Orton, who was eventually replaced by Denzel Bowles. Blakely’s last stint with the Star was in the 2015 Governors’ Cup, where the team failed to defend the last of its titles from the grand slam season. Blakely is so far the fifth balik import for the coming Governors’ Cup, which is set to open on July 15. A week after they resumed training camp, the Hotshots under Webb shifted to high gear with twice-a-day practices (7-9 a.m. and 12-3 p.m.). Meanwhile, here is a quick look at the teams with confirmed imports.